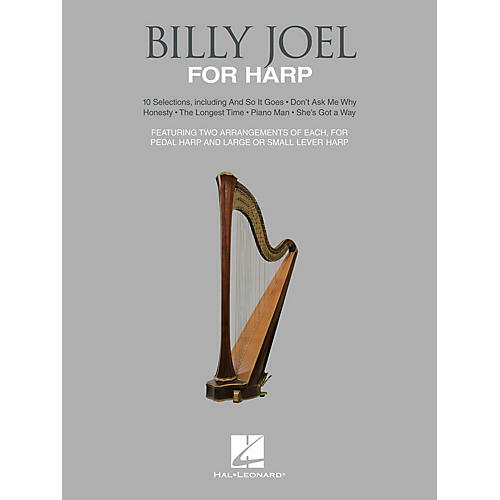 Ten Billy Joel favorites have been adapted for harp in this collection. Each title is presented in two arrangements - first at the intermediate/advanced level for pedal harps and large lever harps; the second one at the beginner/intermediate level, intended for small lever harps (but can be played on any harp). The arrangements duplicate as closely as possible Billy Joel's original songs, as performed on his recordings. Includes: And So It Goes · Don't Ask Me Why · Honesty · I've Loved These Days · An Innocent Man · The Longest Time · Piano Man · She's Got a Way · Summer, Highland Falls · You're My Home.